This is a sponsored post with Coca-Cola. All opinions and experiences of making these tea light holders are my own. 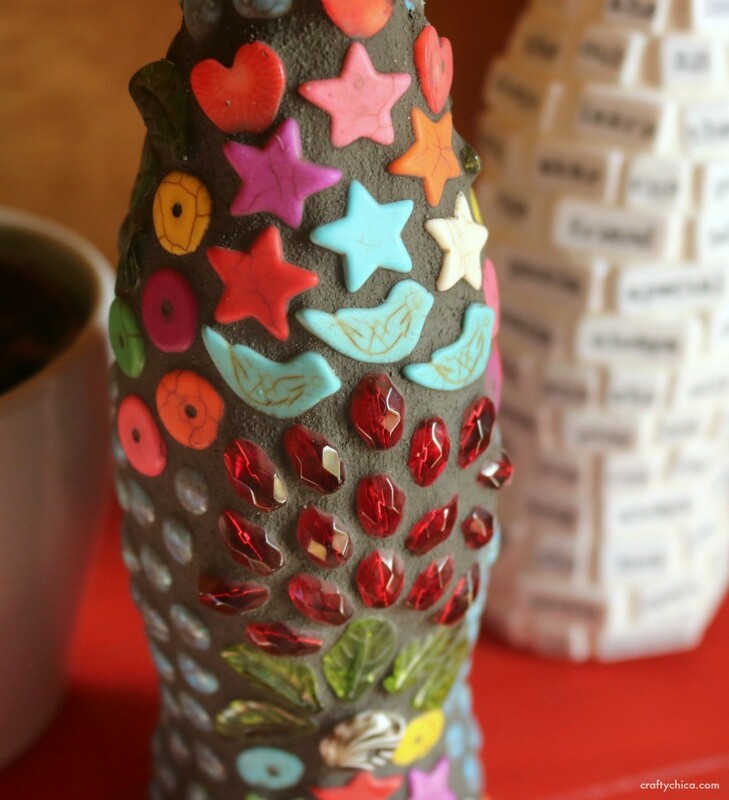 I knew I’d make a mosaic Coke bottle when I visited The World of Coke earlier this year. 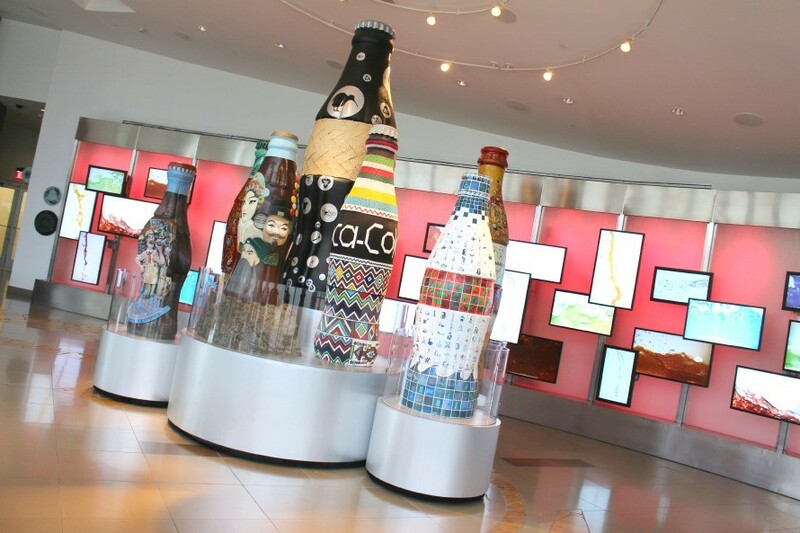 Right as you enter the building, there are huge Coca-Cola bottles that have been decorated by different artists. As you go through the tour, you’ll see even more. Each one was so artful! I became so inspired and have been thinking about it all this time. The shape is so iconic. 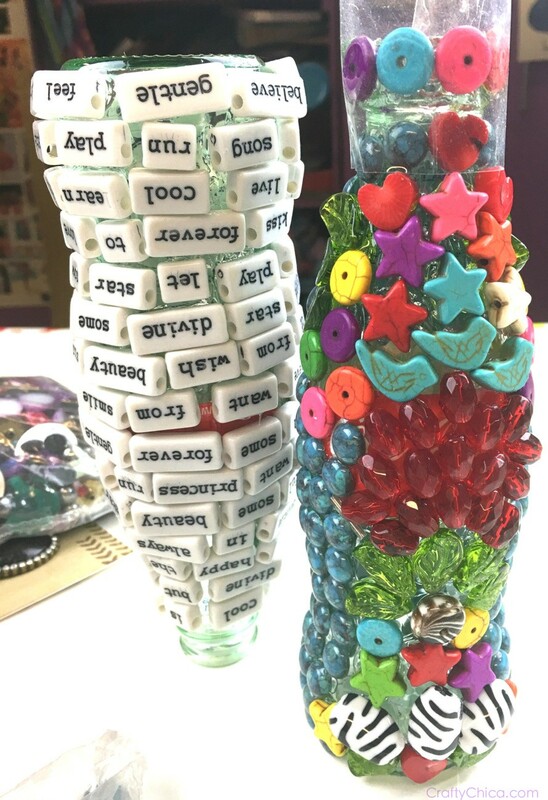 Plus the curves of the bottle force you to be thoughtful with placement of each bead, to keep it all intact. 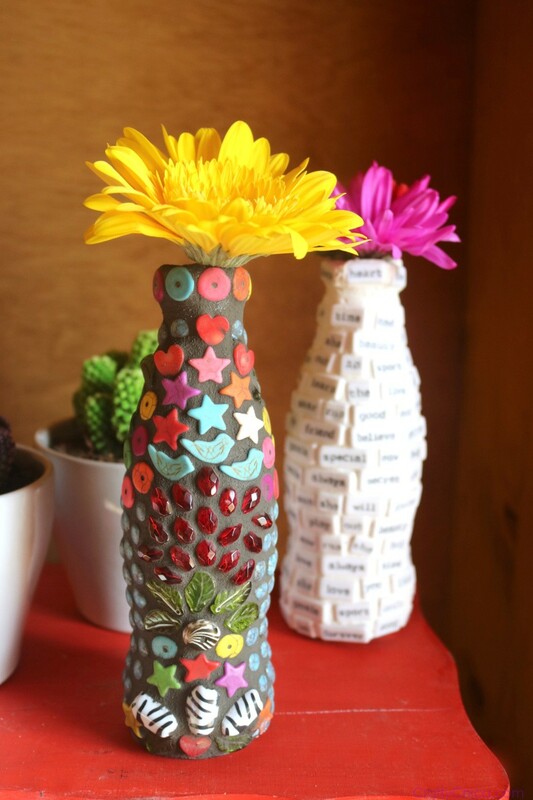 I used the Coke mini-bottles and I love how they turned out. They look great as artful planters for my writing area! Plus, it was also a great way to use some of my random bead stash. The new year is coming and I’m ready to pare down my supplies. 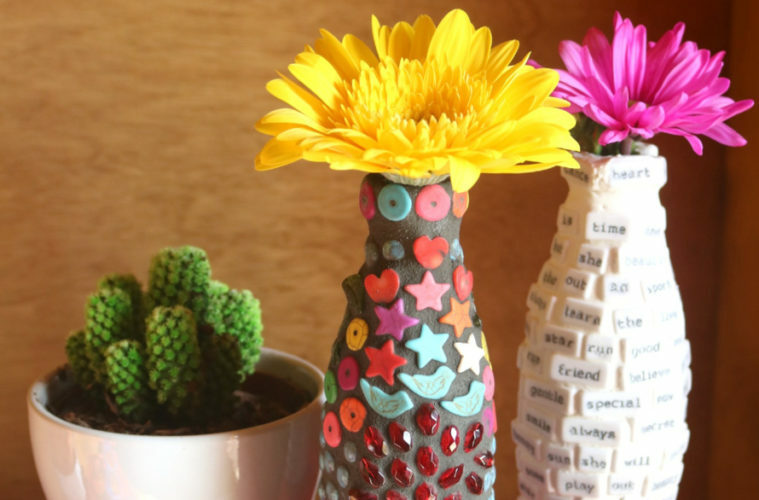 To make this project, you can use any kind of small items as long as they have a smooth surface. Small tiles, mirror pieces, beads, etc. 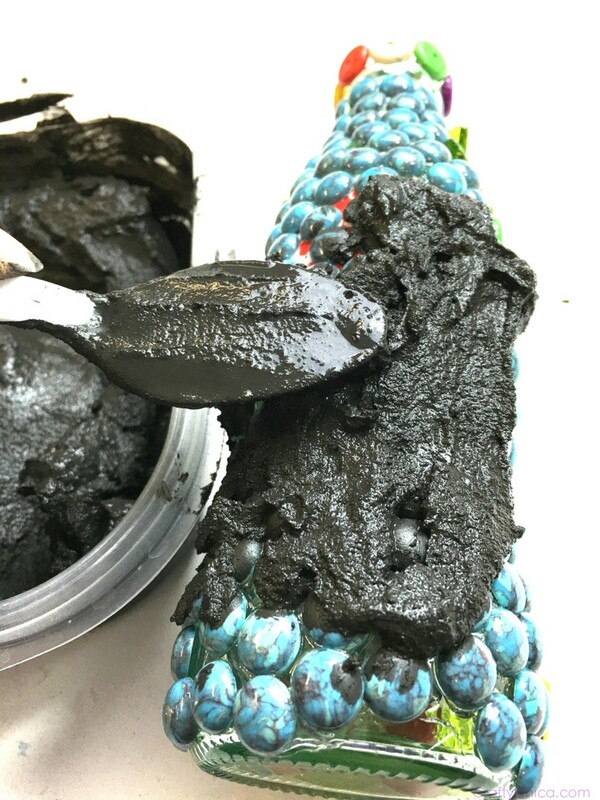 Keep in mind that you’ll be applying wet grout over the entire surface, so the items can’t be porous! 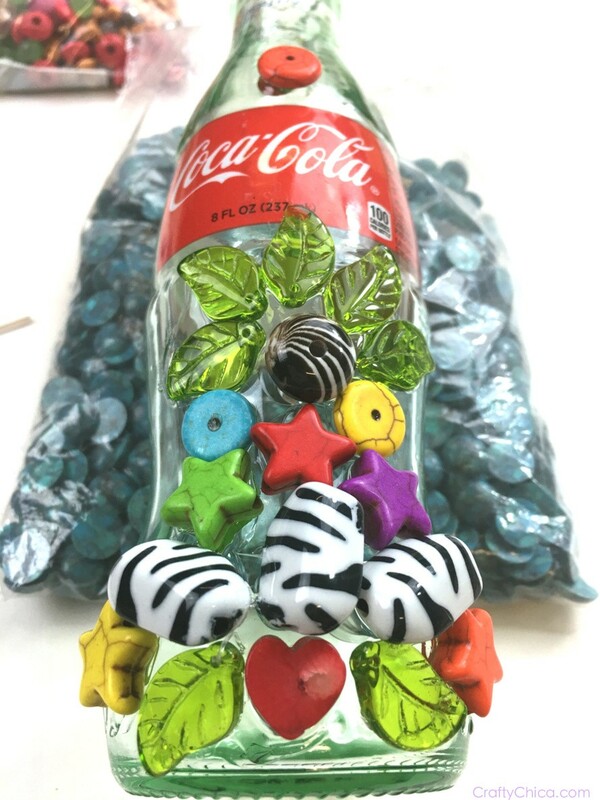 Assorted small items, such as beads, glass pebbles, even buttons. 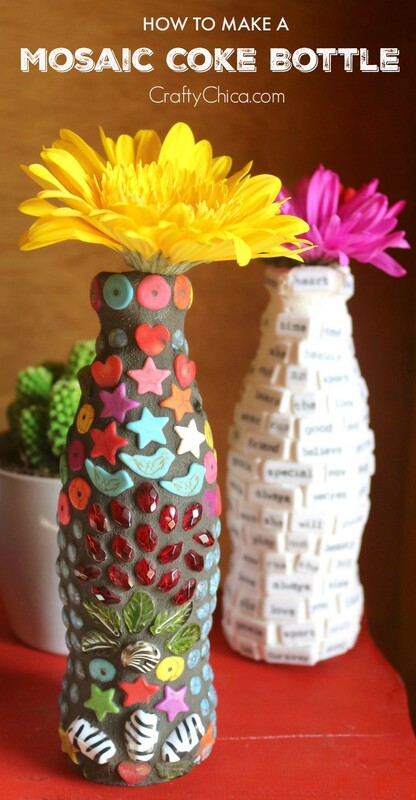 The first step is to look at all your supplies and the bottle and come up with a design. You can freestyle and make it up as you go, or sketch it out. I tend to do the former. And, I might add, I do this while I’m sipping on the mini-Coke, lol! The fizz adds to my creativity! 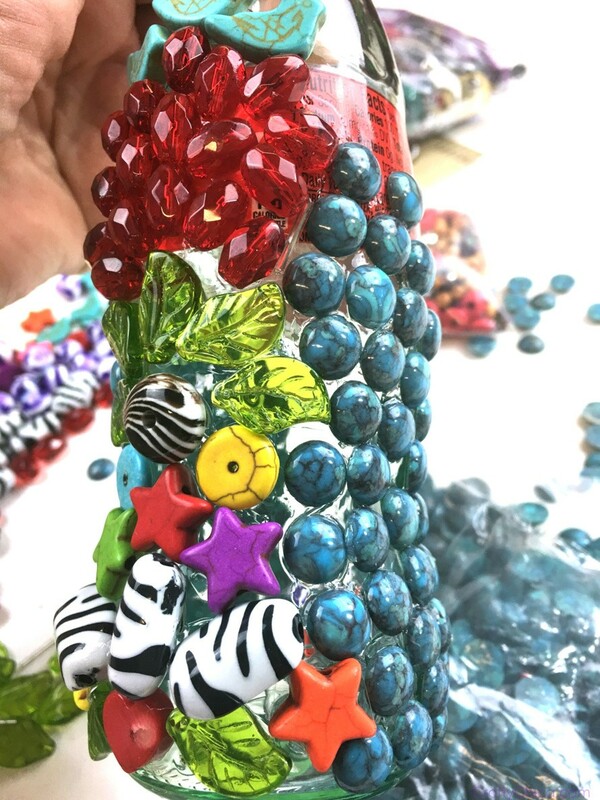 Apply the glue and let it set for a minutes, then add the beads. It will be stickier than if you apply the beads right away. And if you need to, use blue painter’s tape to hold everything in place while the glue dries. This isn’t a project that you can turn out really fast, enjoy the process. Put on a movie and let your creativity reveal itself. play around with textures and colors. Here are my finished bottles. Let them dry overnight. You want to make sure the glue is fully dry so nothing will move when you apply the grout! 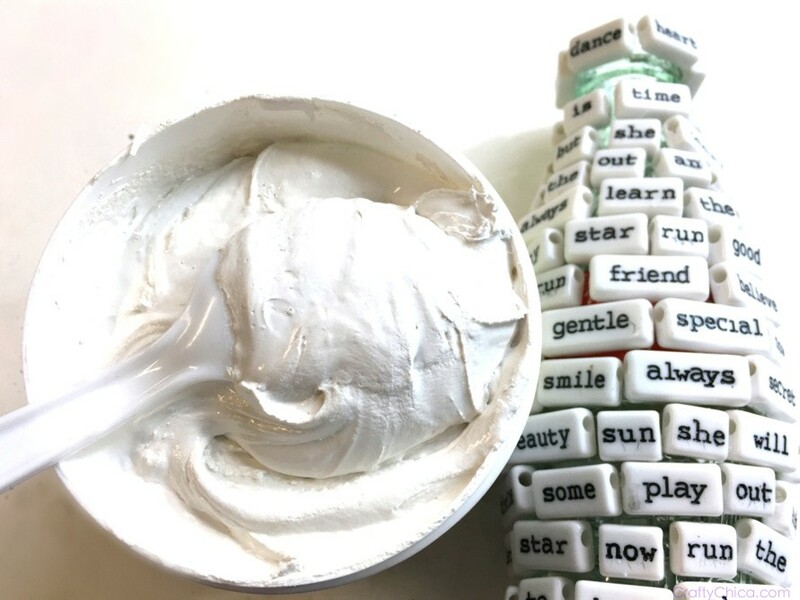 Mix up the grout according to the package directions. Use it within 15 minutes of mixing. It should be the consistency of creamy peanut butter. 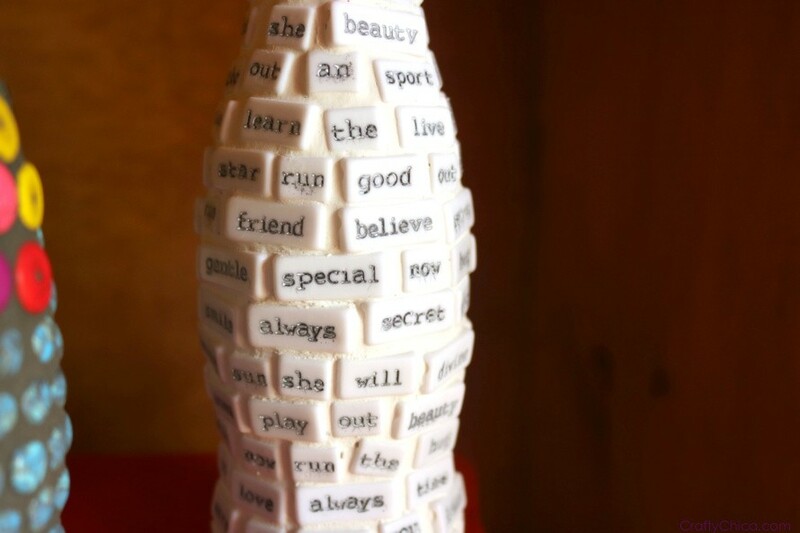 Wearing plastic gloves, apply the grout over the entire surface of the Coca-Cola bottle. Use your fingers to press the grout into each and every groove. 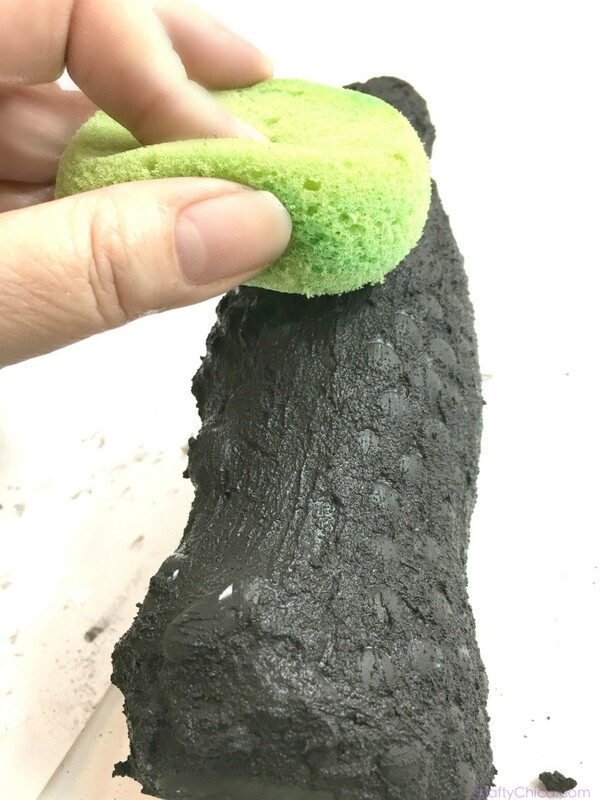 Let it set for 20-30 minutes, then use a damp sponge to wipe off the excess grout. 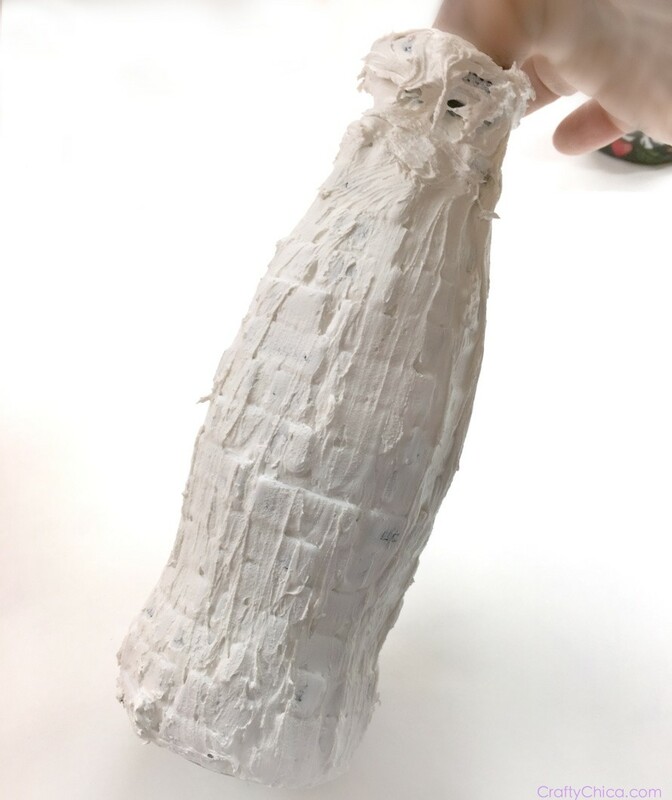 This is my absolute favorite part – the big reveal! Let it set again, then go back and wipe again. Continue this several times until you see the beads appear. You can then go in with a brush and cloth to really clean up any tight areas. Let your bottles dry before using. The colors showed up so bright, and I love the little bird beads, they add so much character! 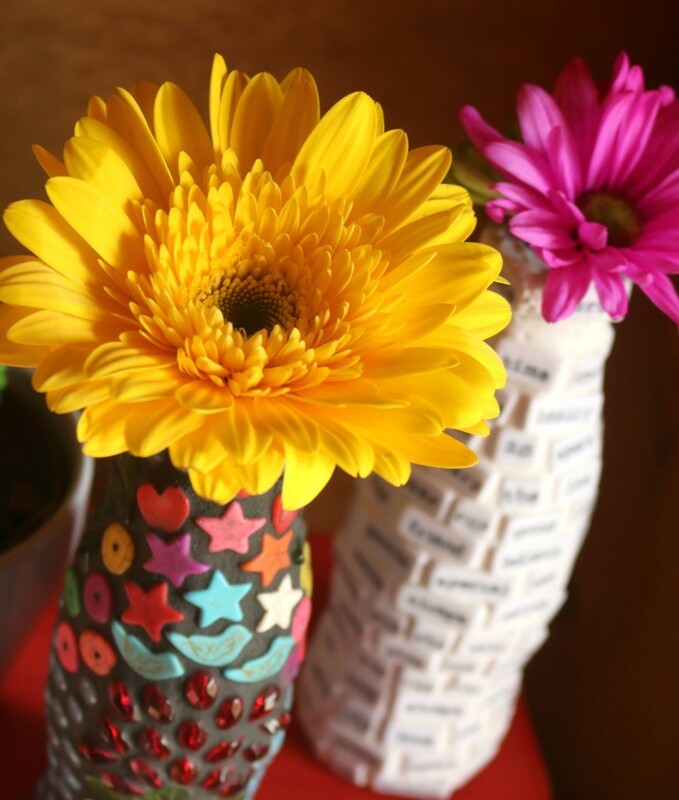 You can use them to hold straws at the dining table, or flowers, anything you want! 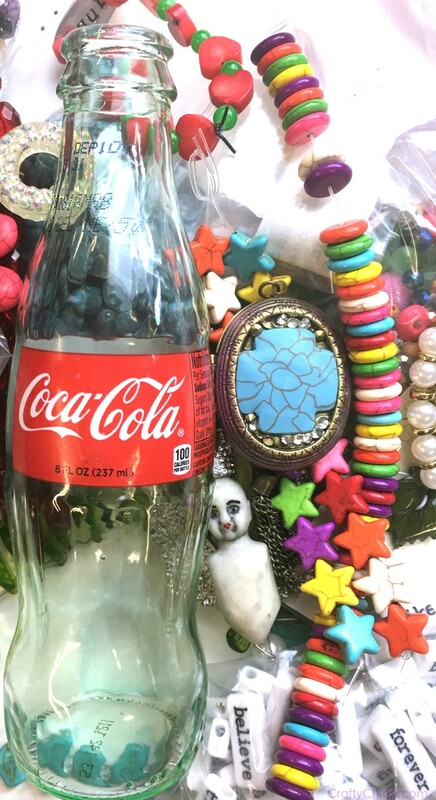 I’m excited to share I’m now one of a team of Coca-Cola lifestyle bloggers! We are a very creative bunch and are all excited to come up with and share ideas with you. You can see all our work – plus a lot more goodies – by following Coca-Cola on all their platforms! Another great project Kathy! My favorite is the one with the bird beads. Did you use weld bond or E-6000 glue? Thanks, Robin! I used e6000!